We are offering Conveyor Belt Cleaning Brush. 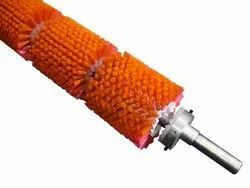 Being a reputed and famous organization, we manufacture and supply the finest grade of Conveyor Belt Cleaning Brush. We can manufacture Brushes as per customer design . We can use same shaft and replace the brush . there is no additional cost of the shaft . we can make roller segment brush with many filaments .